This itinerary combines the beauties of Iguassu Falls with a few days in Mato Grosso snorkeling in the crystal water rivers of Bonito and explore the wild side of Pantanal. 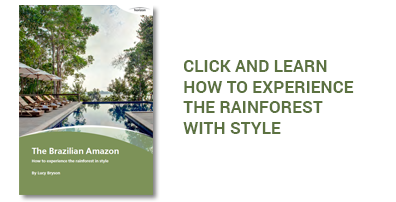 Follow onto the coast to Rio the Janeiro and Paraty and finish back in the nature, on the mountains between Rio and São Paulo staying at one of the most authentic farm hotels in Brazil: Fazenda Catuçaba. Welcome to Iguassu Falls! Settle into your accommodation and have this first day at leisure around the hotel to rest from a long day of travelling. 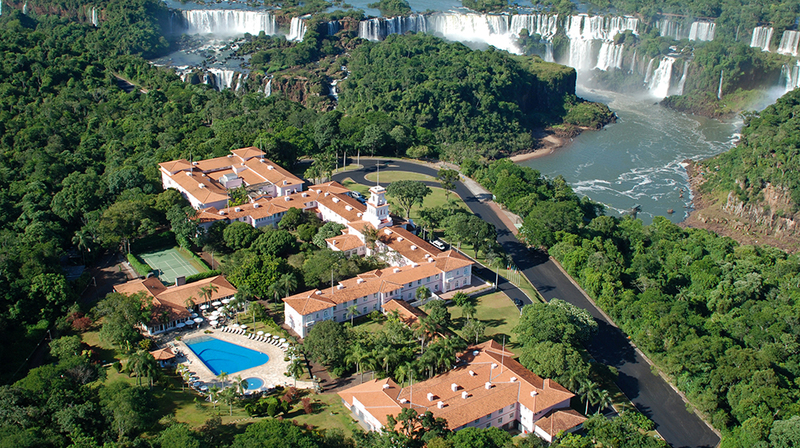 Start the day with a walk to see the falls from the Brazilian side, with panoramic views of the landscape. Afterwards, you’ll drive to the Argentine side of the Park where most of the falls are located. Walk on the different paths and footbridges for amazing views and picture shots. Meet your guide and head to the beginning of the Poço Preto trek. This trail is inside the Brazilian Park and it is a great opportunity to appreciate the tropical flora and fauna of the Iguaçu region with more intimacy. Afterwards, board a motor boat for a short ride on the Iguaçu River, followed by a kayak tour. Go back to the Cataratas hotel for a late lunch and have the rest of the day at leisure. Today you will enjoy your closest experience with the falls, the Macuco Adventure! It starts with a large jeep trail (not private) in a dirt road in the middle of the forest, until you reach the small Macuco Falls before arriving on the banks of the Iguaçu River. In safe open boats with outboard engines, you’ll cruise up through the Iguaçu Canyon. 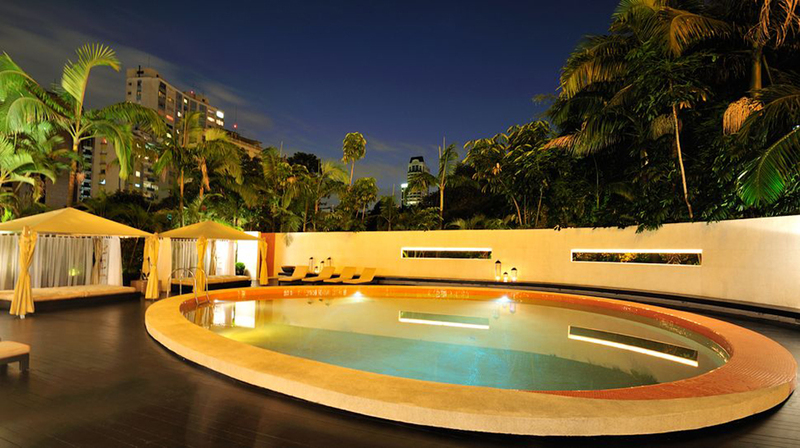 Then, return to the hotel to freshen up, check-out and head back to the airport to board on your flight to São Paulo. Upon arrival, head to the Tivoli hotel and take some rest for the next day. Flight to Campo Grande. 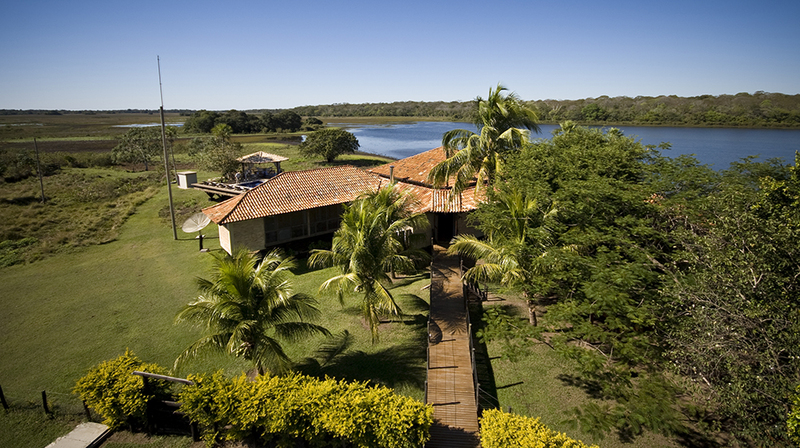 Upon arrival, meet your driver for a transfer to Bonito and check-in at Pousada Olho d’Água. You'll have a training for the next day’s activities, which uses rope for ascending and descending into a large cave. Start this day with the most radical activity in Bonito, the Anhumas Abyss, a 72m long rappel inside a grotto with crystal waters at the bottom. Proceed to Estância Mimosa, a farm that serves a delicious regional lunch and has many natural swimming pools and waterfalls. Before heading back to the hotel, stop by Bonito village to try a “bocaiúva” or “acará” ice-cream, made from exotic local fruits. First activity of the day will be a floatation snorkeling experience down Rio da Prata, a river with crystal clear waters from where you have the feeling of being inside a natural aquarium. Lunch will be served by the same Prata river, before you head to Buraco das Araras (the macaws hole), a curious geologic formation of 124 meters deep where many macaw species make their habitat. 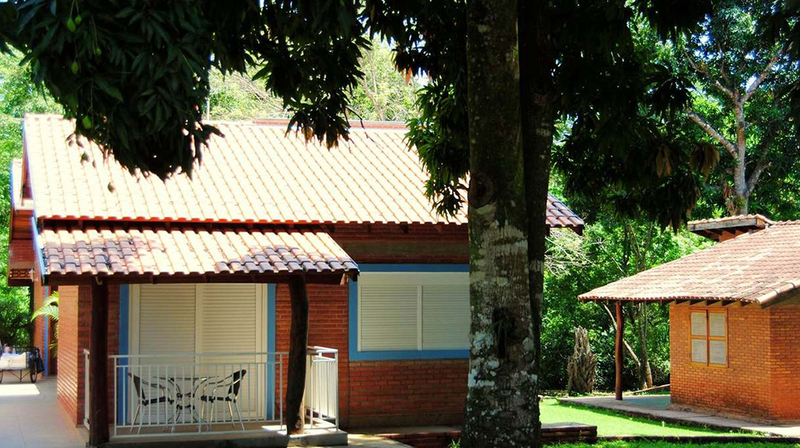 Check out of the hotel and transfer to Boca da Onça Farm, by Serra da Bodoquena National Park where you trek to the highest waterfall of the state. Lunch at the farm restaurant, with a beautiful view of the Salobra River valley. Get on the road again and make your final stretch until you reach Caiman Lodge. Upon arrival, take in the scenery you’re in and meet your guide for the next day’s activities. Days at leisure to enjoy activities at Caiman. At morning, take a transfer to Campo Grande airport to board on your flight to Rio de Janeiro. Upon arrival, meet your driver and head to the beachfront Marina All Suites hotel located in Leblon district, upscale Rio neighborhood. Early morning visit to the Corcovado Mountain, to avoid the crowds. Descend the mountain and reach the charming Santa Teresa neighbourhood, the artsy neighbourhood of Rio. Walk to the entrance of Pereira da Silva favela where you will visit a unique art installation and NGO: the Morrinho Project, which value lies in its social function, being a safe refugee for marginalized children to play and express themselves. End the day with a visit to the city centre of Rio, where your guide will give you a brief tour according to your wishes and interests before returning to your hotel. Your driver will pick you up in the morning and head to Urca beach. Meet a professional guide to give you all the instructions on how to use the ocean kayak. The initial 30 minutes of kayaking will be crossing the Guanabara Bay, to see different points of interest, such as: Urca neighborhood, São João Fortress, Escola Superior de Guerra and Cara de Cão Hill, among others. You will continue kayaking to reach Vermelha Beach, where you can have the astonishing view of the back of the Sugar Loaf. Afternoon at leisure to enjoy Rio as you wish. Transfer to Paraty where you'll check into Pousada Literária and have the rest of the day at leisure to relax and enjoy the town. One of the main attractions in Paraty is to spend a full day cruising through the emerald water bay and the hundreds of surrounding islands. Your guide and captain will meet you in the morning and, aboard a regional boat, navigate to Praia Vermelha, towards Cotia and Algodão islands. Enjoy the ride making some stops along the way for a swim or snorkeling in strategic places such as Saco da Velha. For lunch, eat the fresh catch of the day in a paradisiacal landscape! 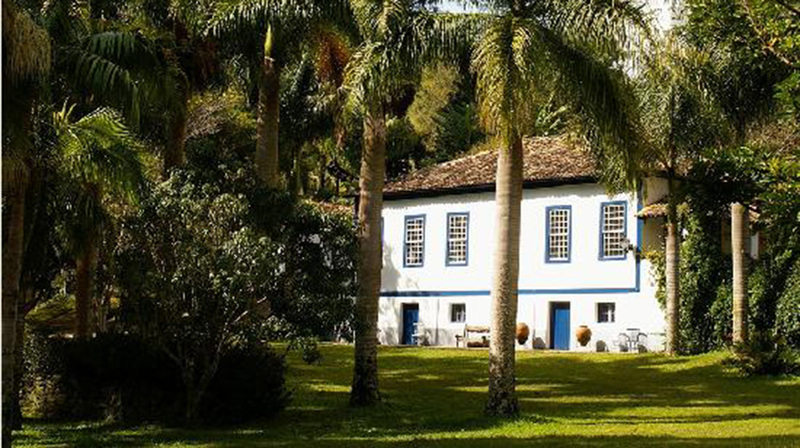 Morning transfer from Paraty to Catuçaba farm, a charming property in the Brazilian countryside. Day at leisure to relax and explore the property, perhaps do some horseback riding or read a book by the lake. Check out the hotel and transfer for approximately 2h30min to São Paulo airport to board on your departure flight. In the Jardins district, just a block away from Avenida Paulista, discover the Tivoli São Paulo - Mofarrej, in the heart of the city. Whether you are travelling on business or for pleasure, this five star hotel in São Paulo has everything you need to ensure an unforgettable stay. Pousada Olho D’Água is small and simple, yet very charming and perfect to be contact with nature, even being close to Bonito’s city center. It has impeccable service, attentive employees and delicious home cooked meals. 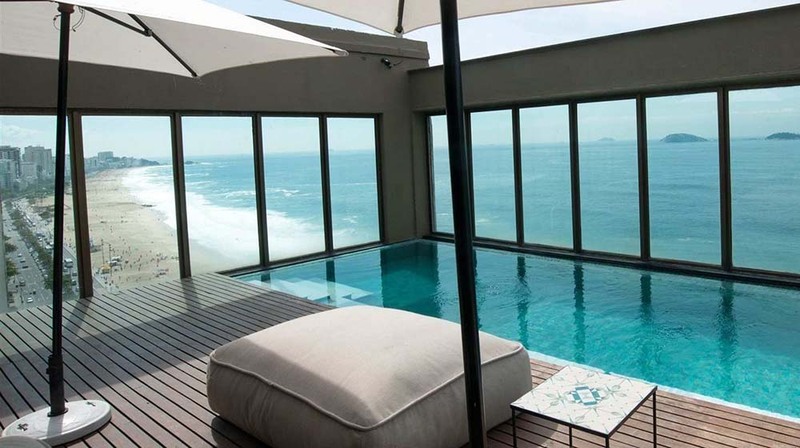 Marina All Suites is a beachfront hotel in the Leblon neighbourhood that tries to combine boutique and design hotel concepts to panoramic views of the sea and iconic beaches. The 38 rooms at Marina All Suites are separated into 8 design suites with great zest in their décor and 30 suites designed for an autonomous stay. 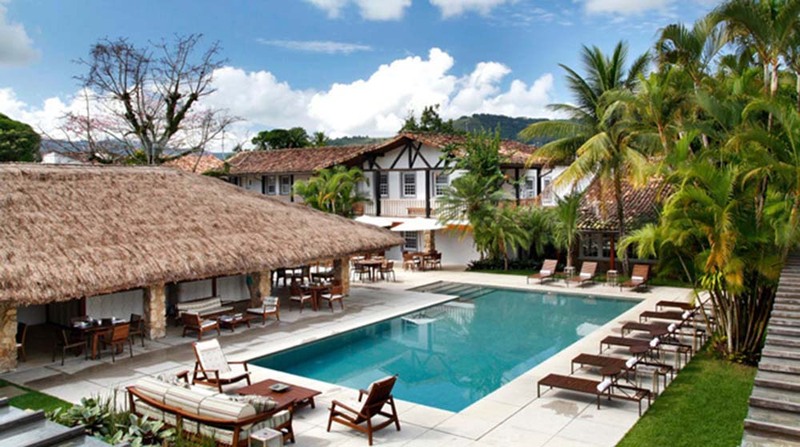 Pousada Literária is the newest in Paraty historic city center – although a bit further away from the buzz. The 22 rooms are spacious and comfortable, and the common area features a large garden and a heated swimming pool, making this pousada the best option for families travelling with children. Other perks of Pousada Literária are the always attentive staff – but in a discrete manner – and breakfast, a meal to remember from your stay in Paraty.